Both have been replaced by the Patton CL1214. NOTE: The Patton 2151 reached “end of life”. 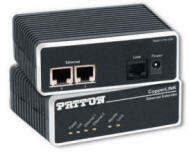 We recommend the Patton CopperLink CL1212 units as the best replacement.